Recently, I attended a business conference that was focused on company branding and positioning. If you are unfamiliar with these terms, you can check it out on the Wikipedia entry on Positioning (marketing). 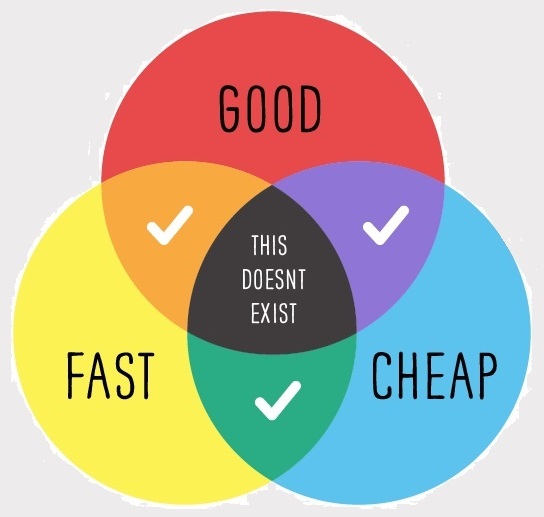 At one of the seminars I attended, the speaker said that when selecting a marketing stance for your company you have the following three options: good, fast, cheap. Of which, you can only pick two. Makes sense. Or does it? When I first heard it, it made sense. If something is good and served fast, it won’t be cheap. If something is good and cheap, it won’t be served fast. If something is served fast and cheap, it won’t be good. But does it really apply to all companies? What about firms like Taco Bell or Xiaomi? In their respective industries, both offer good quality products; their services are fast; and their products are cheap. Both also happen to be two of my favorite companies. Solid systematic processes make it happen. And technology advancement has evolved to a point where every company can be good, fast and cheap. On my next blog post, I’ll explain why this development is critical for overseas Filipinos to understand and how they can take advantage of it. If you have any questions or comments, feel free to contact me at jonathan.chua@beamandgo.com. Also if you like this post, please share. Getting sick stinks! But in the times that you do get sick, you want to make sure you are covered and have the best healthcare available. PhilCare believes that total health means achieving a complete harmony of mind and body that results in enjoying life to the fullest. And now, you can purchase PhilCare products on BeamAndGo and obtain the kind of healthcare that you deserve. And the programs we have on offer can be used at 400 hospitals nationwide. 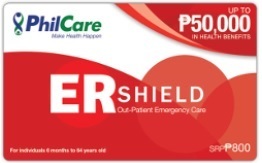 The ER Shield is a one-time use health card. PHP 50,000 out-patient hospital emergency room care for treatment of medical emergency cases due to accident or illness except for cases declared as non-coverable such as pre-existing conditions and those conditions under the general exclusions of PhilCare. The ER Vantage card includes Php 40,000 to Php 80,000 benefit plan for hospital emergency cases leading to admission due to accident or illness except for cases declared as non-coverable such as pre-existing conditions and those conditions under the general exclusions of PhilCare. Can also be used for out-patient emergency care. 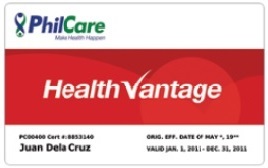 The Health Vantage and Health Elite Vantage card secures hospitalization requirements only. Covers emergency cases due to accident or illness except for cases declared as non-coverable such as pre-existing conditions and those conditions under the general exclusions of PhilCare as well as elective cases up to plan limit. To see what else is happening at BeamAndGo, visit us at http://www.beamandgo.com. And if you like this article, feel free to share this with your friends and family. Have a questions or comments? You can contact me directly at jonathan.chua@beamandgo.com. Did you know that BeamAndGo has been in business for 4 years now? And during the past years, we not only provided you with a place to purchase digital gift certificates for the essentials of your family, but we have also accumulated a wealth of information for you: money-saving tips, remittance trends, how-to videos, related articles, and our thoughts on how to build a better future. 1. Over the past years, we have accumulated everyone’s questions and answered them in the Frequently Asked Questions (FAQ) section on our website. If you have a question about BeamAndGo, it might already be answered in this area, so if you have a question, this is a good place to go first. 2. To know more about the philosophy and people behind BeamAndGo, you can visit the About Us section on our website. 4. We have a BeamAndGo Facebook page where we give sneak peaks and announce special offers. Feel free to message us! 5. Follow us on our Twitter account (@BeamAndGo_2014). We frequently tweet glimpses of what the BeamAndGo team does every day and other tweetable stuff. 6. They say that “a picture is worth a 1000 words”, so follow us on Instagram (@BeamAndGo). We take a lot of photos and we also post photos that our users send us. 7. If you have a Viber account, Viber us at +63 949 839 3322 from 8AM to 6:30PM, Monday to Friday, excluding holidays. 8. If Viber ain’t your thing but you have a Whatsapp account, Whatsapp us at +63 949 839 3322 from 8AM to 6:30PM, Monday to Friday, excluding holidays. 9. We also have a live chat at www.BeamAndGo.com, where you can talk to our awesome and very friendly Customer Service team! They are always ready to help you with anything, especially with buying your favorite BeamAndGo gift certificate! 10. And keep coming back to this blog! We always share tipid tips, new products and services, and even inspirational message for OFWs. Hindi ka nag-iisa kabayan, with BeamAndGo, you always have a shoulder to lean on. To see what’s happening at BeamAndGo, the best place to go is http://www.beamandgo.com. If you have any comments or questions, you can email us at customerservicea@beamandgo.com. Also feel free to share this with your friends and family. Over the weekend I read a heart warming story in Rappler about a taxi driver name Mr. Doroteo “Jhun” Ochavo Jr. The piece was written by Katerina Francisco and it chronicled a trip she took with Mr. Ochavo from Manila to Oritgas. In the article, she proclaimed that Mr. Ochavo is the “most honest” taxi driver in Metro Manila. He spoke fluent English, promoted safety within his vehicle, and had a country-wide reputation for returning lost items found in his cab. He felt thankful for a life of good fortune and gave back by being the best taxi driver he could possibly be. What traits did this man have that enabled him to not only be a success in his profession but also in life? The story of Mr. Ochavo reminded me of an episode from the TV comedy series Taxi. Taxi was a popular TV show that ran in the late 1970s / early 1980s. It centered around the lives of a bunch of New York City taxi drivers within their workplace. The story of Mr. Ochavo reminded me of the 1981 episode called Zen and the Art of Cab Driving. 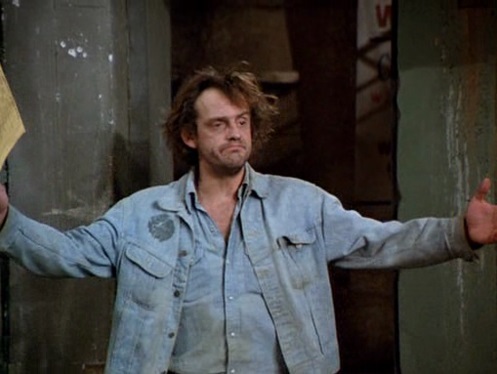 In the episode, one of the drivers, Jim Ignatowski (played by Christopher Lloyd), decided to be the best cab driver he can be in order to reach his lifelong goal of owning a wall of television sets (remember this is a comedy). He made a conscious effort to not only do everything right as a driver, but also provide the “extras” not normally found in a typical ride in a New York City taxi. Jim’s taxi was spotless: polished on the outside and squeaky clean on the inside. He provided a history of the city to his tourist passengers as they drove around town. And on cold evenings, he served free cups of coffee and hot chocolate, and distributed warm wool blankets to his shivering customers. Jim became a superstar taxi driver. And as a result, Jim broke the company’s trip sheet records and amassed enough wealth to purchase all the televisions needed to create his wall. Now, I’m not advocating everyone quit their jobs and get a hack license, but there is something to learn from these two taxi drivers. Mr. Ochavo’s goal was to take care and support his family and send his children to school. For comedic effect and aligned with his goofy character, Jim Ignatowski’s goal was to purchase a lot of TV sets. Their respective goals defined their purpose and their focus. Without a goal they would not know what they were working for nor would they know what to do with themselves. While both goals were very different, both Mr. Ochavo and Jim Ignatowski had a similar plan: be honest, be courteous, be informative, and provide exemplary service to all their passengers. Their plan was their guide. However, a plan without action was meaningless. Everyday, as they drove their taxis around Metro Manila and New York City, they were exerting 110% effort into what they did. Politeness, cleanliness, smooth driving and making a passenger feel safe and secure took a lot of hard work. For many, the job of driving a taxi does not command the same respect as a banker or a doctor or a lawyer. But anyone who works hard and excels in their job deserves much respect. Both Mr. Ochavo and Jim get my respect for their passion for their job and their ability to execute their plan and achieve their goals. And along with this earned respect, we can all learn from them. In fact, we can always learn from people who are the best at what they do, no matter what the job is. Feel free to share this article with your friends and family. And if you have a questions or comments, you can contact me directly at jonathan.chua@beamandgo.com.